This is a front mounting full system designed specifically for early 1990's model Mercruiser Big Block V8 V-DRIVE applications with V Belts. Raw water inlet hose must be routed over the valve cover. 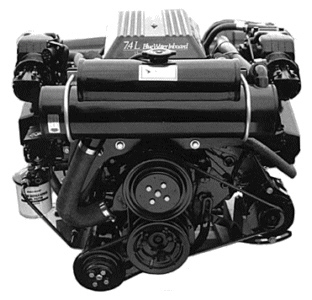 Click this link for installation instructions and engine model verification.